Paradise City was founded by two practicing artists in 1995 with a mission to connect established and emerging artists and craft designers with an ever-growing base of collectors. Holding innovative exhibitions of curated work could create new avenues of artistic expression and fresh opportunities for furthering artists’ careers. 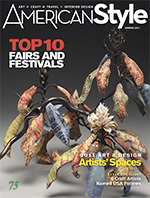 With a unique understanding of the fine and functional arts market formed by 20 years of arts exhibition experience, Paradise City’s initial shows quickly developed a a loyal local following of both exhibitors and attendees. A deep understanding of the contemporary arts & crafts industry launched Paradise City with a competitive advantage. However, sustainable growth requires the ability to accurately forecast improved revenue, identify operational, sales and marketing expenses, and develop budgets and plans that track results and guide investments. With founders who had created a unique product, Paradise City turned to The Post Group to develop the operational procedures and business infrastructure that forms a foundation for profitable growth. The Post Group reviewed Paradise City’s past results, researched competitors and created a forward-looking financial model and budget for future shows. We designed and put in place improved accounting and bookkeeping procedures and systems to more accurately track revenue and expenses. Armed with new monthly reporting capabilities, Paradise City identified expenditures that could be eliminated or addressed with IT automation. Newly developed database and document management solutions reduced the time and expense of paperwork processing and back office operations. Paradise City had a new found capability to build revenue without a corresponding increase in expenses. With better insight into operations and improved margins, attention now turned to building profitable revenue. Reviewing comparable shows informed the design of a competitive pricing model for both exhibitors and attendees that immediately improved the top line. Newly designed marketing programs and customer database system started capturing contact information for 80% of show attendees. A database marketing system was developed to target direct and electronic mail campaigns that increased attendance and maintained strong exhibitor sales. 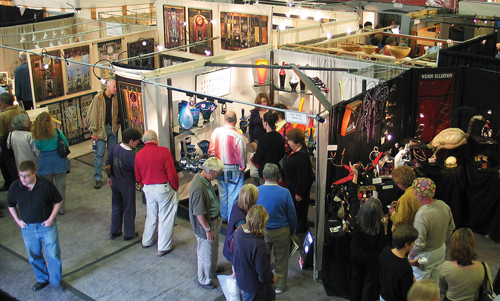 Sustainably strong sales led to increased demand of additional exhibition space and additional shows. The Post Group enjoys helping small businesses and non-profits succeed. We focus on improving marketing and operations while building your organization’s capacity with new skills, expertise or systems. Bringing years of business experience and insight to your organization, we deliver top-flight solutions at lost cost.